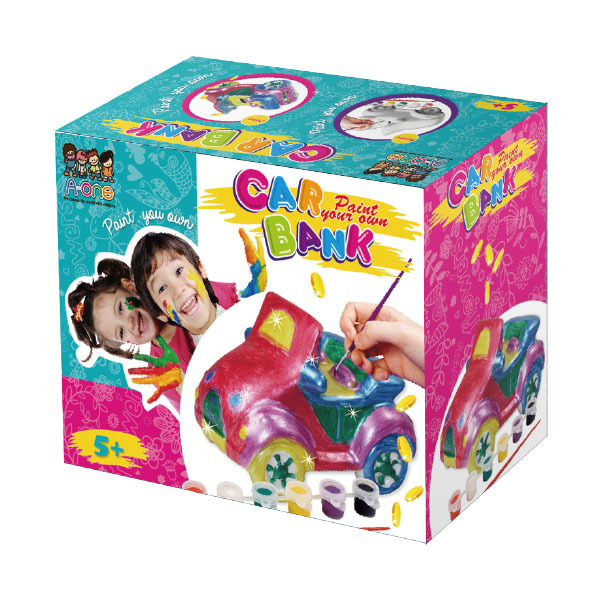 Use the included paint brush ,six pots of metallic paint and glitter glues to create your own unique piggy bank. Use gem stones to make it nice.You can also mix paints in a separate dish to create additional colors. Ideal activity for parties or gifts. Save your money by slipping coins into the slot on top of the piggy bank. Easy to remove plug for coin release.